The open Hill repair for gastroesophageal reflux disease and hiatal hernia is remarkably durable, with a median 10-year reoperation rate of only 3% and satisfaction of 93%. No long-term data exist for the laparoscopic Hill repair (LHR). Patients who underwent primary LHR at Swedish Medical Center for reflux and/or hiatal hernia at least 5 years earlier (1992–2010) were identified from an IRB-approved database. There were 727 patients who met inclusion criteria, including 648 undergoing repair for reflux and 79 for paraesophageal hernia. Two questionnaires were administered via mail to evaluate long-term quality of life using validated GERD-HRQL, Swallowing score, and global satisfaction score. Outcomes were defined by GERD-HRQL score, Swallowing score, resumption of proton pump inhibitor (PPI) therapy, need for reoperation, and global satisfaction with overall results. Two hundred forty-two patients completed and returned the survey (226 lost to follow-up, 90 deceased, 3 denied undergoing LHR, 166 non-responders), of which 52% were male. The average age at the time of surgery was 49.5 years. Median follow-up was 18.5 years (range 6.2–24.7). The average GERD-HRQL score (7.1) and the average Swallowing score (39.9) both indicated excellent symptomatic outcomes. 30% of patients are using daily PPIs. 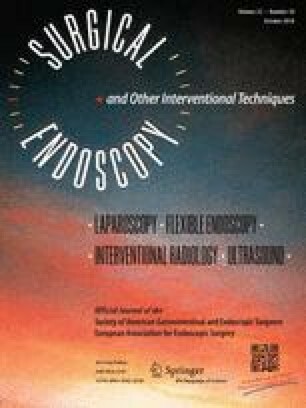 24 patients (9.9%) required reoperation for failure during the follow-up period, 21 in the reflux group and 3 in the paraesophageal hernia group. Overall, 85% reported good to excellent results, and 76% would recommend the operation. LHR shows excellent long-term durability and quality of life similar to the open Hill repair, with 85% good to excellent results at a median follow-up of 19 years and a reoperation rate under 10%. It is surmised that Hill suture fixation of the gastroesophageal junction to the preaortic fascia may confer unique structural integrity compared to other repairs. This work was partially supported by funding for research personnel from the Ryan Hill Research Foundation and the Foundation for Surgical Fellowships. The authors Yeseul Park, Ralph W Aye, Jeffrey R Watkins, Alex S Farivar, and Brian E Louie have no conflicts of interest or financial ties to disclose.